2. Perform the “safety check.” Take a look when your child returns from trick-or-treating to ensure there are no dangerous items in their collection. Include your child in this process to explain the decisions you make and allow them to learn good habits. 3. Sort it out. Encourage your child to eat the healthier treats and avoid hard, sour or chewy candies like jawbreakers or caramels. These candies have high acidity and/or stick to the teeth longer, which can cause more damage. 4. Limit availability. Candy should be enjoyed, but moderation is important. Have your child choose 15 or so of their favorites and remove the rest. 5. Donate or store away extra candy. Consider donating candy or keep it stored away. 6. Brush-up after consuming. 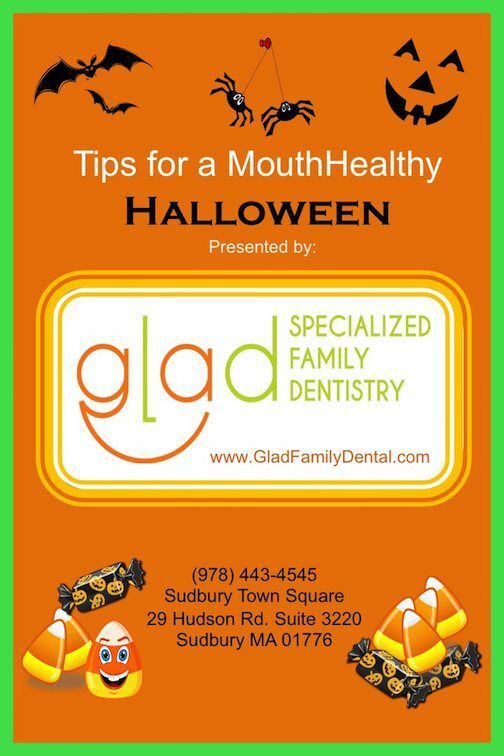 Set a specific time of the day for candy consumption and then have your child follow-up by brushing his or her teeth. This is much healthier than allowing your child’s teeth to be continuously exposed to sugary or acidic treats throughout the day. Although Halloween is a great opportunity to start employing these practices, don’t stop there! Continue to follow these recommendations throughout the year so your children can develop good dental hygiene habits while still enjoying their treats in moderation.